Auntie Cleaner Singapore: How to clean HDB window grilles? How to clean HDB window grilles? Many HDB owners prefer to have aluminium or iron window grilles in their home. They prefer to have it for security purpose and there is nothing wrong in that either. These window grills can offer security as well as it can enhance the look of your HDB as well. 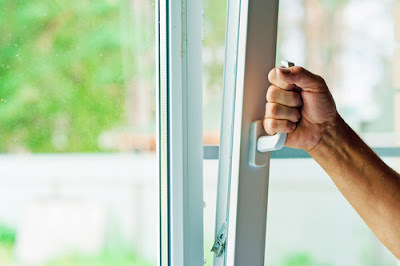 But if you don’t do the cleaning of your windows grilles on regular manner, then you may not get any good results with it and it may rupture the looks of your home as well. But cleaning window grills in your HDB may not be as easy for you as it appears and you may need to follow some special tricks for that. In case you are wondering how to clean HDB window grilles and I am sharing few simple steps below with you for it. Spray it with water: Spraying the windows grilles with clean water is the first step that you will need to do for cleaning of your HDB window grilles. You can spray it with as much clean water as much possible. This is very important step and it will help you in the entire cleaning process. 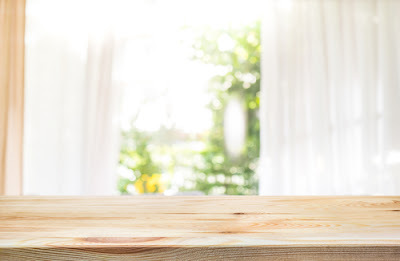 Water is a great solvent and it can solve most of the things easily and it will dissolve you will be able to remove most of the dust and dirt easily form your window. Here, you need to make sure that you use only clean and fresh water. If you will use dirty water then it will be not easy for you to do the cleaning and you might not get proper cleaning as well for your HDB windows grilles. Also, if you will use clean water then you will have to worry less about its negative effect on it widow grilles or its material. So make sure you keep this thing in your mind while cleaning your HDB grills. After that you can also do the brushing of grilles with a soft brush or cotton cloth. You need to do that very carefully else you might hurt your hand with it. Use special cleaner: In some cases, water may not do the work and you may need to do proper cleaning with other method. If you are not able to clean it with water then using some special cleaners would be a good idea. With a good quality cleaner you can simply go ahead and you can use that on your window grilles. Thankfully you would never have to worry about the cleaning supplies and you can always go to a cleaning store and you can ask for the cleaning supplies. If you will share your requirement with them, then chances are high they would give you the required stuff without any issue. Here, you need to mention that you want the same for HDB window grilles cleaning and they will give you the right stuff. While using it, make sure you read the instructions carefully and you follow the guidelines given there. Brush window grills regularly: For better cleaning of your HDB window grilles, it is also very important that you do brushing of grills on regular manner. If you will keep brushing it on regular interval, then you will have fewer reasons to worry about the dust deposition. Also, if you will have fewer dust deposition, then you would be able to get much better cleaning results as well. In market you can easily find some specific brushes that are designed only for cleaning of window grilles. If you can get on, then I would recommend you buy it. It will not only reduce your efforts, but it will also increase the efficiency of cleaning for you. Other than this, it will do many other things as well for you in a very easy manner. So, don’t mind getting a brush that is designed only for the cleaning of window grilles for your HDB home. Wipe with smooth cloth: Whether you use special cleaner or you use water as solvent for the dust and dirt, I would never recommend you to use a harsh cloth for same. If you would use harsh cloth then you may leave some marks on the window grilles and it can affect the look of your HDB. Indeed, those marks will not look from a distance but you will also not like to have those marks on it. So, it is advised that you follow this rule and you get the results accordingly. While cleaning your window grilles, it is always advised that you use a soft cotton cloth for that. Also, this cloth should be fresh and clean. Some people prefer to use a dirty old cloth for cleaning purpose. They assume if they are cleaning a dirty place, then use of dirty cloth would be fine. If you have this tendency, then change this opinion and clean it properly. I am sure, if you would use a proper cleaning solution with cotton cloth then you will be able to have better results with ease. Avoid harsh chemicals: In case you get some dirty stain that is not easy to remove or you are not able to get it removed using special cleaner, then you might get tempted to use harsh chemicals on it. For your windows grilles in your HDB home, I would never recommend you do that. First of all, if you would use harsh chemical, then it might hurt other people by going out from the window. It can cause allergy or other issues to them and you will have to take responsibility for that. Other than this, harsh chemicals can also damage or leave some impression on the window grilles. So, it is advised that you do not use it in any condition. Instead of using harsh chemicals, you can use safe chemicals and you can try to clean it in several steps. 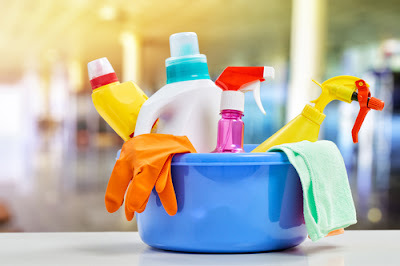 If you will do the cleaning in several steps, then you may get much better result without any issue and you would have no other complication as well in this cleaning work.